Sound-Designer Glenn Ricci verlässt sich bei der Loudness-Kontrolle der Sound-Effekte für das populäre Geisterhaus in Pittsburgh, USA, auf das Audio-Meter von RTW. Diese Pressemitteilung ist ein weiteres Beispiel für die vielfältigen Einsatzmöglichkeiten des TouchMonitor TM3! PITTSBURGH, PENNSYLVANIA, OCTOBER 15, 2013 – As Glenn Ricci, the sound effects designer for ScareHouse, named by the Travel Channel as one of the top five haunts in the country, will tell you, sound is just as important as the visual element when it comes creating a convincingly eerie, skin-crawling atmosphere. 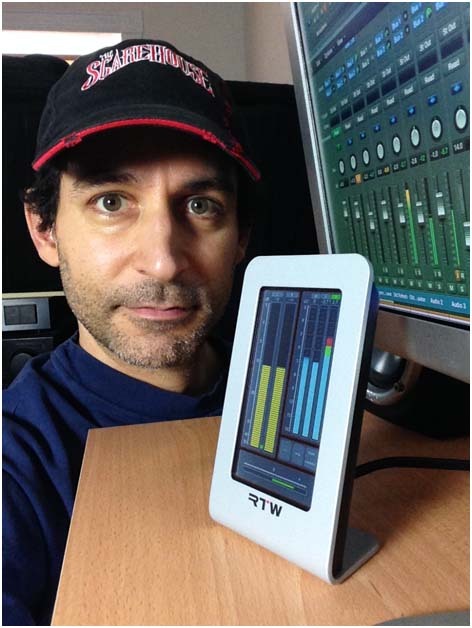 Helping him raise the hackles of ScareHouse attendees is the TM3 TouchMonitor from RTW, a leading vendor of visual audio meters and monitoring devices for professional broadcast, production, post production and quality control. Located in a supposedly haunted former Elk’s Club lodge in Pittsburgh, ScareHouse treats visitors to Hollywood-quality sets, characters and special effects that lend a high degree of realism (and terror). Its primary attractions include an entire haunted town, a demented anti-Santa, an alternate, zombified replica of Pittsburgh and a very nefarious basement. Human actors portray ghosts, zombies, ghouls and other evil night dwellers, sometimes grabbing at visitors for an especially authentic fright. The scares just wouldn’t be the same, however, without foreboding music, evil-sounding cackles and similar soundscapes setting the mood. Because of the importance these sound effects play, Ricci must ensure that the soundscapes he creates are smooth and the audio is on the level. Controlled using a touch-sensitive display, the TM3 features a 4.3-inch touchscreen and a stylish exterior allowing for horizontal and vertical placement. It includes a large number of graphical and numerical instruments showing single-channel along with summing-loudness bargraphs, PPM, true peak, SPL, loudness range (LRA), dialnorm and correlation. It handles analog or digital stereo signals and features a user interface allowing the selection of up to 10 presets quickly and simply with the swipe of a finger. 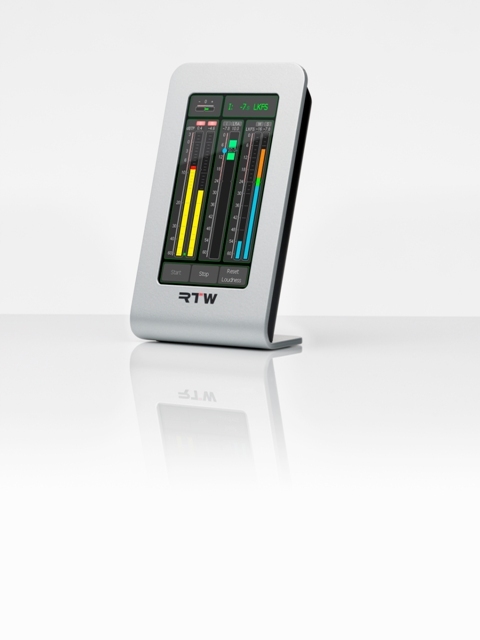 RTW’s range of products currently include the SurroundControl series for monitoring, controlling and routing stereo, multichannel and surround audio and the TouchMonitor range, which truly marks a paradigm shift in visual audio monitoring and loudness metering. Combining maximum flexibility and modularity with an intuitive touch-enabled surface and multichannel signal analysis, the TM7 and TM9 units are the essence of many years of experience. The attractively priced TouchMonitor TM3 entry-level system opens new markets, targeting applications such as journalist cubicles, edit suites and small control rooms.